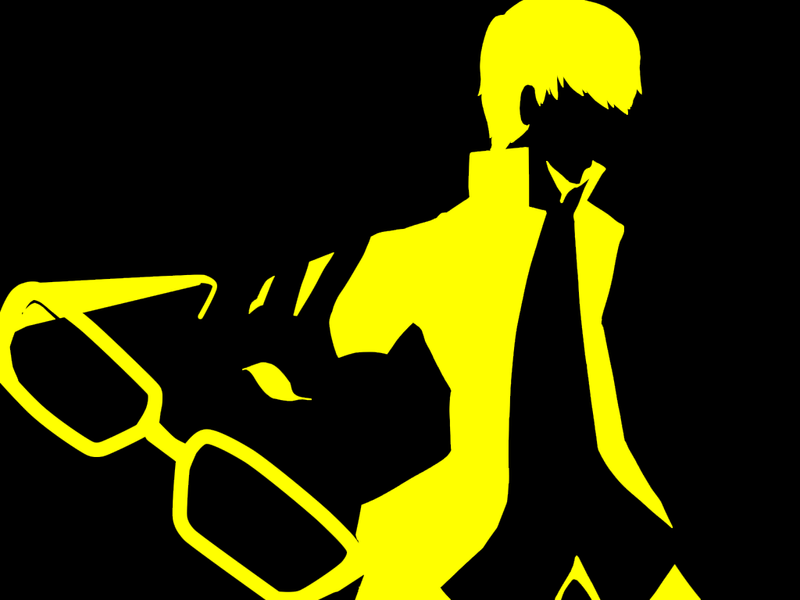 Persona Background:Born from Gabe's soul, this persona takes on the inflamed version of the main character "the devil's greatest trick" that Gabe grew up reading from the famous author Bartholomew Hartley. Regardless of his plight, the show must go on, the ultimate risk of entertainment and hope meets at the crossroads as this persona fulfills its destiny. Description: PvS/PVP In battle this is basically Gabe generating a red playing card that can use a tier 1 AOE fire damage that's generated from the card itself or detonates when the card is thrown and Gabe makes it act like a grenade. The card can also be placed down somewhere and be detonated at will like a bomb of some sort. He can detonate them from within 5 meters, they detonate on their own when he's out of range. The card can be used the same way in real world uses. Outside of battle, Gabe can toss a card on the floor panels and its ignites 3 squares of his choosing (if multiple rows) of T1 agi damage along with any boosts Gabe has to further the technique. Non allies and enemies of any kind that wander off in those spaces take that agi damage. Those squares remain booby trapped for three posts before dispersing. Basic Ammunition: Causes tier 1 dex shot burst damage to a single enemy. x13 bullets. x2 Go Pluck Yourself | Such a delicious turkey leg. Why not take a bite? This item raises all stats by 30% until the end of battle. Not usable in boss fights. Floating strength: Leadership- After proving himself and stepping himself up to be the head of the platinum playhouse, Gabe's apparent convictions and will for what he would do for his team has earned him a spot of being established as a leader. Only Gabe needs to post during dungeon movement, with the rest of the team following along. —Description: Gabriel finally accepted the Madness that festered inside of himself. While he may retain lucidity and comprehension, there may be situations where the Madness may influence his behavior. This includes answering QAS phases or during roleplaying situations. Such attacks may potentially happen at his worst or even make a situation even worse. While he could give into the Madness again, he must do this at his own risk. EXP/Level - Lv 1 80/80 Level up!